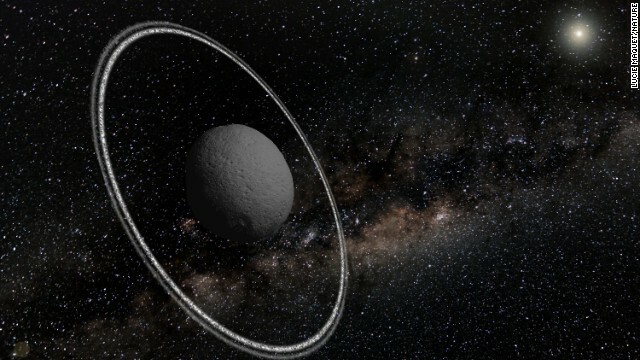 Researchers have now confirmed that the asteroid Chariklo has rings – two, in fact. This is the first time an asteroid has been observed sporting rings. Scientists speculate they may have formed as result of surface collision with the resulting dust and debris getting caught in the asteroid’s gravitational pull. The rings may eventually form a small moon.